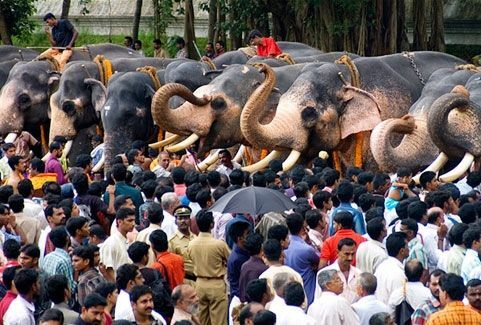 Elephants are an integral part of South Indian society. 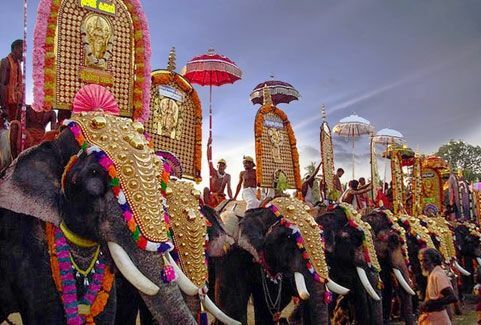 In fact the elephants are hailed as sacred animals, which justify the almost mandatory presence of elephants in the South Indian temples. 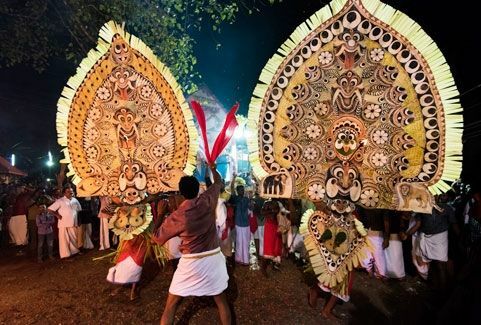 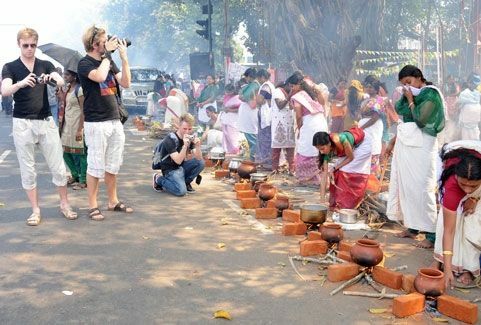 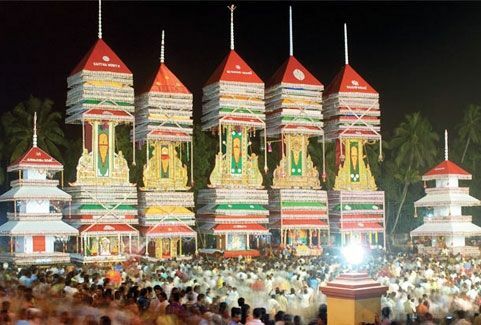 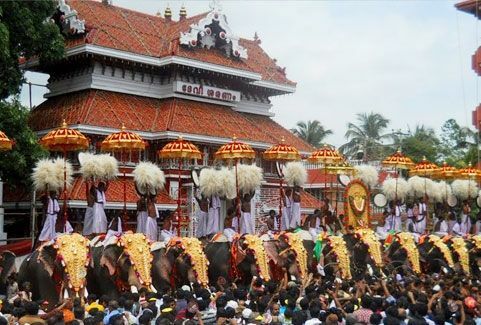 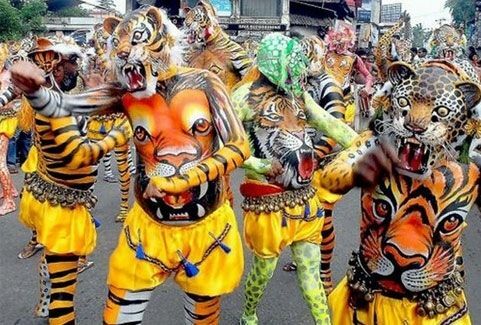 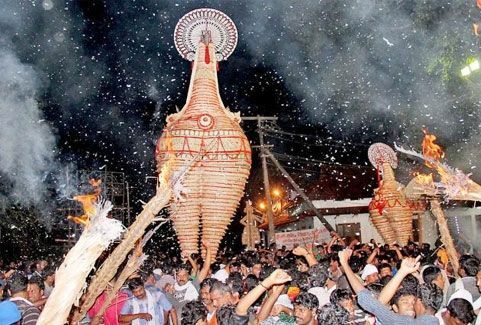 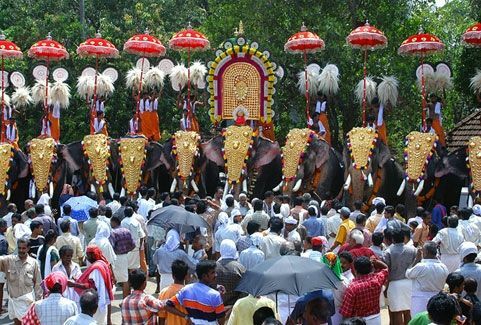 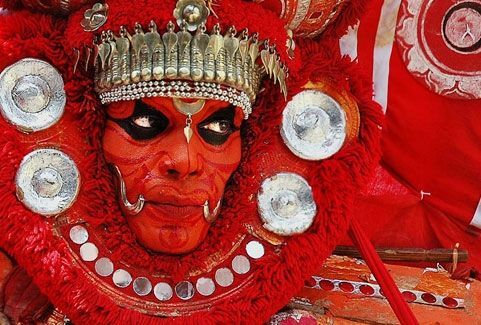 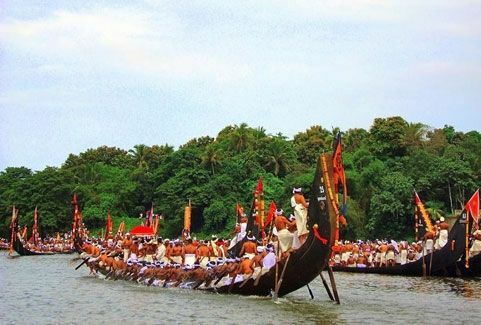 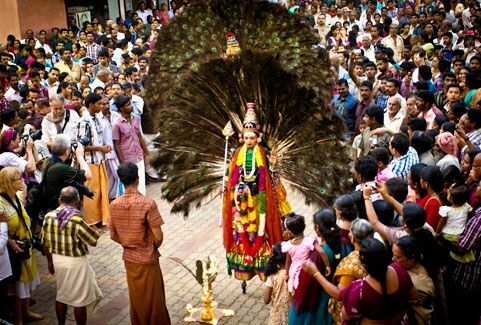 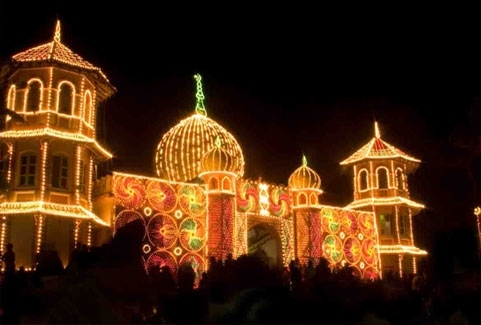 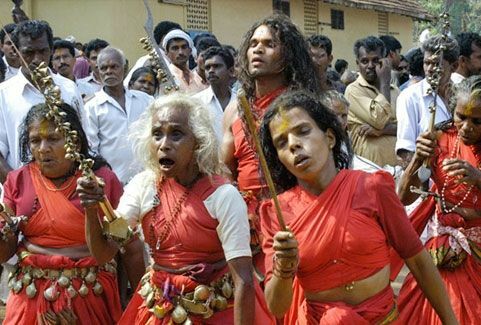 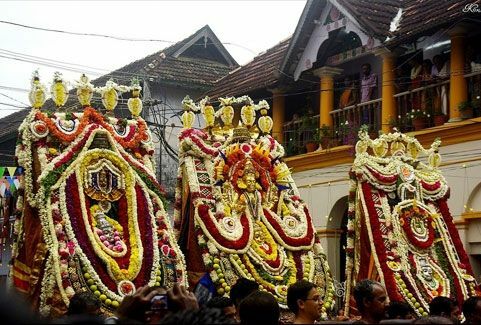 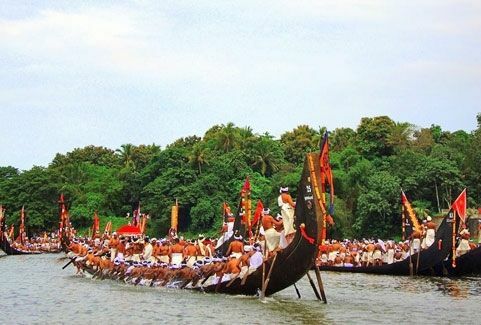 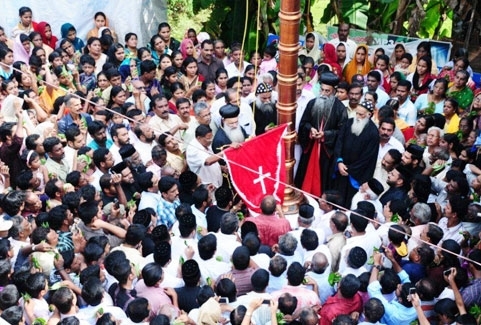 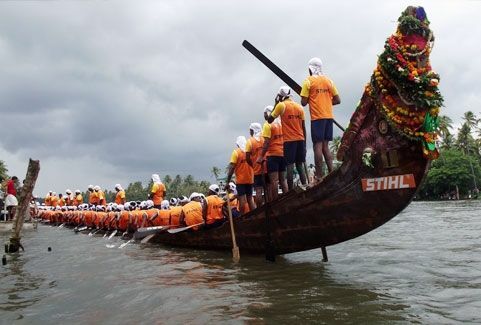 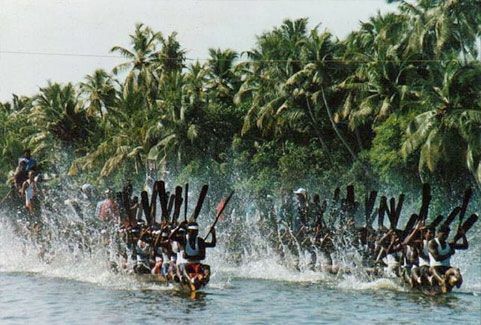 The Aanayoottoo Festival is celebrated in the precincts of the Vadakkunnathan temple in Thrisur Kerala. 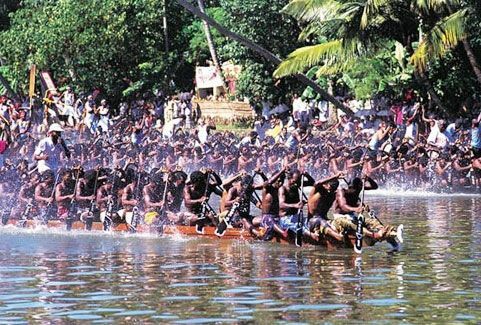 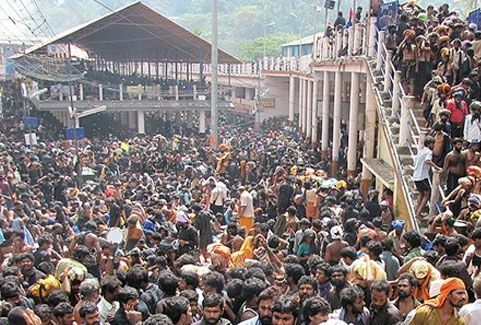 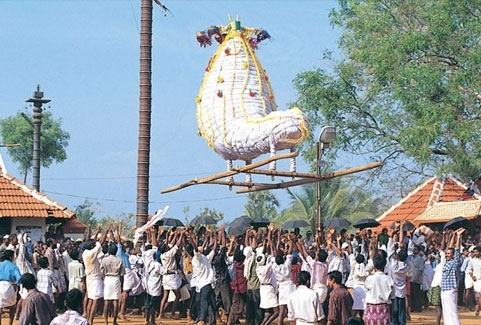 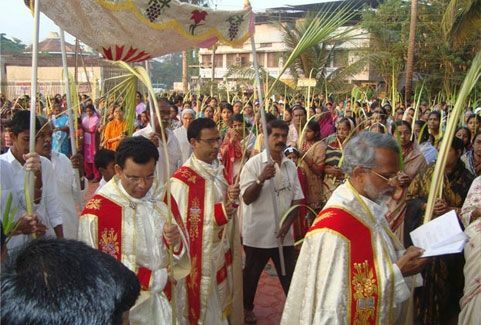 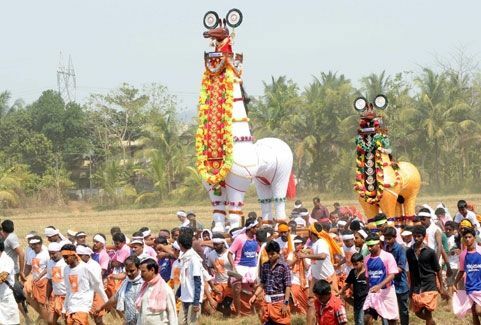 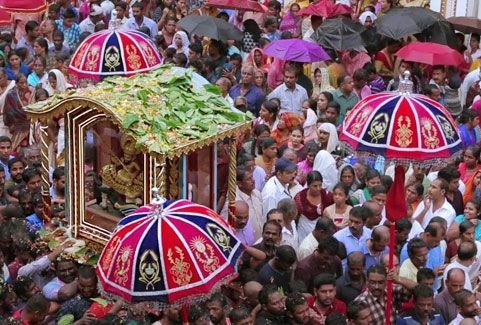 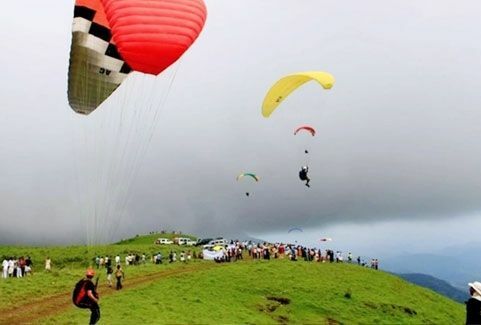 The Aanayootto Festival is held on the first day of the month of Karkkidakam according to the Malayalam calendar. 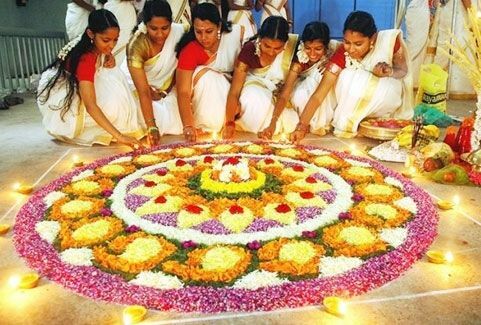 This coincides with the month of July. 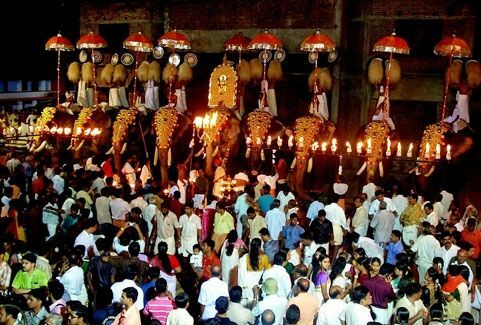 It is a splendid treat to the eyes as nearly 50 unadorned elephants are positioned amid a multitude of people for being worshipped and being fed with a delicious feast. 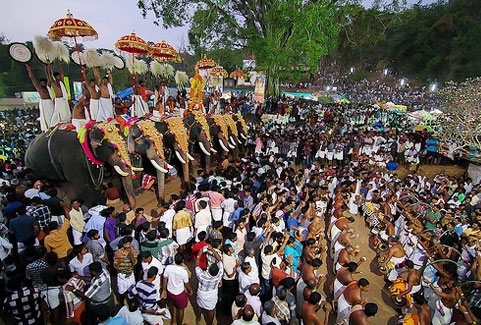 A large number of people throng the temple to feed the elephants. 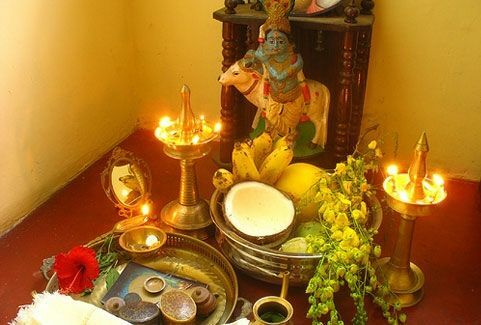 Every fourth year of `Aanayoottu,' `gaja pooja,' is conducted. 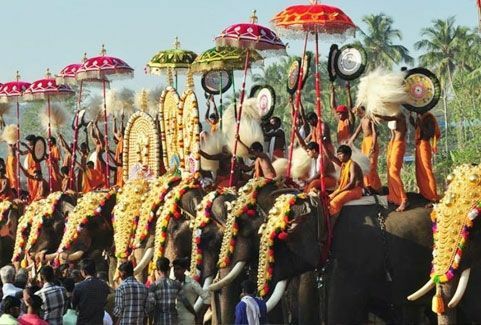 It is believed that offering poojas and delicious feed to the elephants is a way to satisfy Lord Ganesha the god pf wealth and wish fulfillment. 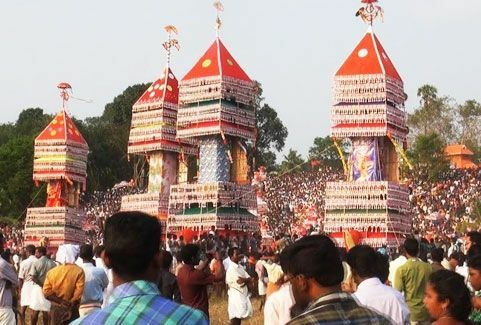 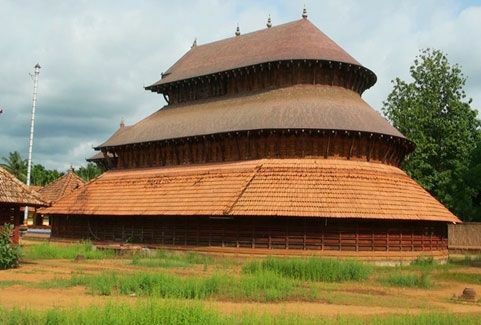 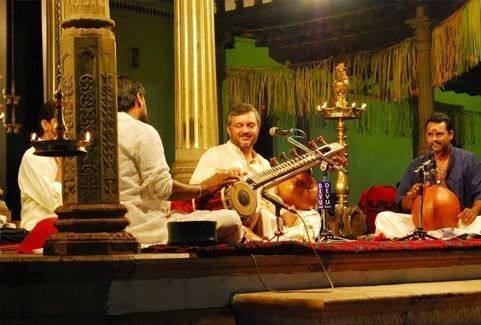 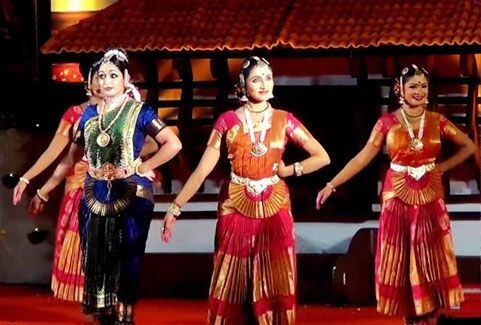 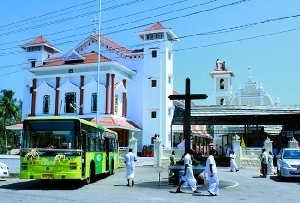 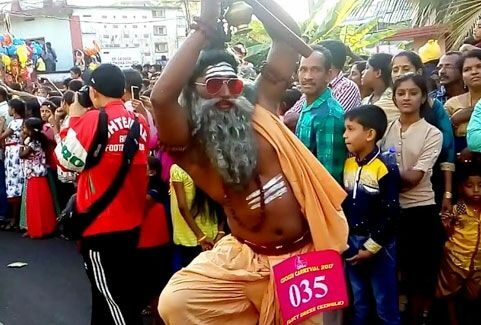 Vadakkunnathan temple, which is considered to be one of the oldest Shiva temples in south India, has been playing host to the Aanayottoo event for the past few years. 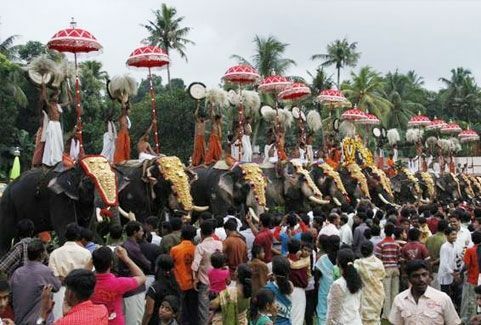 The special feed, of the elephants include sugar-cane leaves, coconut, jaggery and the sweet mix of Ganapthi pooja prasadam. 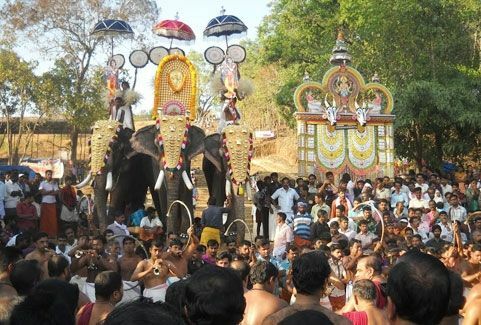 The feeding session begins with the chief priest of the temple, offering the first feed usually to a cub elephant.